Vinyasa flow and yin yoga are fairly opposite of each other in terms of the pace and energy of the practice (perhaps vinyasa should be called yang yoga! ), but complement each other and are particularly beneficial for athletes who do impactful, fast and repetitive activities like running and cycling. The Sanskrit word “vinyasa” can be translated as “arranging something in a special way”, so really any yoga style that has repetitious or a somewhat “standardized” sequence of poses could be considered vinyasa— Ashtanga, Baptiste Yoga, Jivamukti, sun salutations and even yogahour® can all be considered vinyasa yoga. In vinyasa flow-style classes, students coordinate their asanas, or poses, with their breath to flow from one asana to the next. In yogahour®, for example, students are lead through a sequence of asanas at a faster pace than your typical beginner Hatha yoga class, holding a pose for only a few breathes before moving into the next or moving in and out of postures with the in-and-out flow of your breath. In surya namaskar (sun salutations), for example, you would inhale as you raise your arms up overhead in tadasana (mountain pose), exhale as you fold forward in uttanasana, inhale as you half-way lift in ardha uttanasana, exhale as you jump back into chaturanga dandasana (four-limbed staff pose), inhale as you press up into to urdhva mukha svansana (upward-facing dog) and exhale as you push back into adho mukha shvanasana (downward-facing dog). Thanks to the faster-moving and often challenging poses in vinyasa flow yoga, endurance athletes can benefit from strengthening their core, upper body and lower body during class, as well as getting a good sweat and stretch on at the same time. Since most of us runners know strength training is key to correcting muscle imbalances to help improve our running form and stretching is important to help release tight muscles, vinyasa flow is like a two-in-one workout. It’s also a great gateway class for endurance athletes interested in yoga, since we often tend to be drawn to the more physically challenging aspects of a practice and less to the real purpose of yoga, which is mental, physical and spiritual self-awareness. Yin, on the other hand, is a slower paced style of yoga where students hold asanas anywhere from one to 10 minutes. According to Yoga Journal, yin yoga “comes from the Taoist tradition and focuses on passive, seated postures that target the connective tissues in the hips, pelvis and lower spine.” Since endurance athletes tend to experience most of their injuries and issues in the lower body, you can see why this style of yoga would be beneficial and how it complements the more upper-body focus of vinyasa flow yoga. In a yin yoga class, you can expect to do most of your poses on the floor and/or supported with props, using gravity to achieve the desired amount of stretch and release. You’ll often hear a yin yoga teacher ask you to “find your edge” or ”play with your edge” in a pose—somewhere where you’re feeling the benefits of the stretch but not too deep that it becomes uncomfortable. Unlike vinyasa flow yoga, you want to use minimal, if any, muscular effort in yin yoga once you are established in a posture. Yin yoga is mainly focused on increasing flexibility and encouraging a feeling of release, relaxing and letting go—again, another thing us type-A endurance junkies need to focus on. You might experience more meditation or pranayama (breath awareness) in a yin yoga class, as well as some teachings of yogic philosophy. Yin yoga would be a great class to take on a Sunday night after a week of hard training to stretch out your muscles and relax your mind to encourage a restful night’s sleep, which, as most of us endurance athlete’s know, is key to proper recovery. If you’re looking to fit both yin and vinyasa flow yoga into your training schedule, the best approach would be to attend at least two morning vinyasa yoga classes a week or do your own practice at home, preferably first thing in the morning or before a workout—sun salutations are an excellent dynamic warm-up to do before your endurance or strength workout. Yin yoga would be ideal to do a few times a week in the evening or even right after a workout. If you live in the Victoria area and are looking for these two styles of yoga, MokSana Yoga Centre offers several morning vinyasa flow style classes (Expanding for experienced yogis, yogahour® for only slightly experienced yogis and Foundations for true beginners) and Yin yoga usually twice a week in the evening. What’s your favourite style of yoga and why? 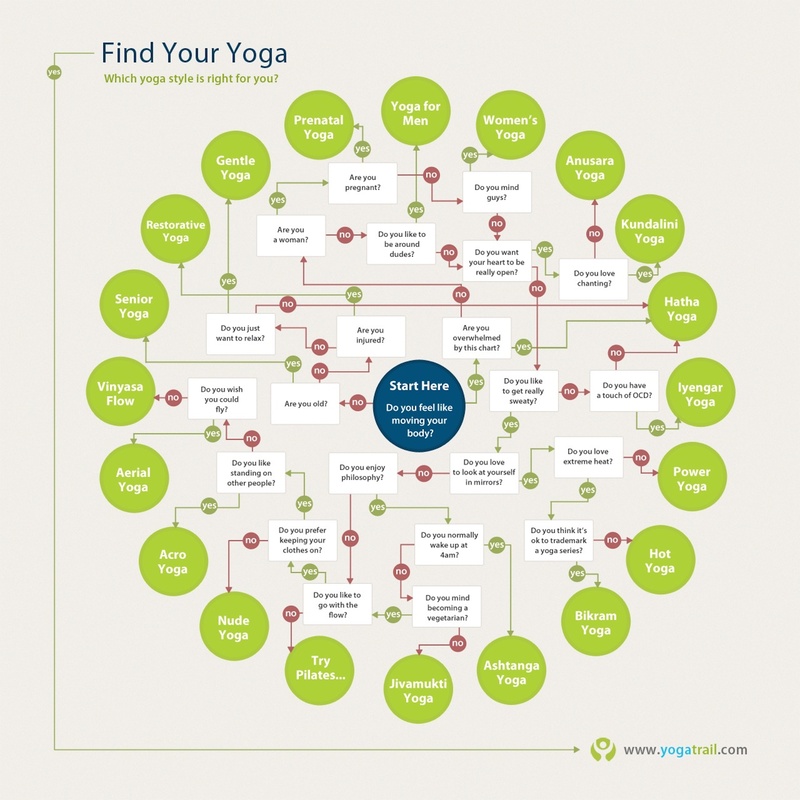 What type of yoga should you do more of? Yoga Teacher Training update: Handstands and the five koshas	Yoga Teacher Training Update: 3 weeks to go!